Jennifer Stephan, Ph.D. is a Class Dean at Wellesley College and a consultant with Magellan College Counseling. This blog post is especially for seniors! You’ve worked hard throughout your time in high school and you’ve thoughtfully applied to a balanced and researched set of schools. Your hard work has paid off and you have been accepted to a few great places. Now what?!? How do you decide between “your” schools? There is no right or wrong answer to the question “which school should I go to?” Since you’ve done your homework, and you had good reasons to apply to the schools you did, the truth is that you could go to any of “your” schools and be successful. As a recent NY Times article made clear, it doesn’t matter so much where you go, as what you do when you are there. 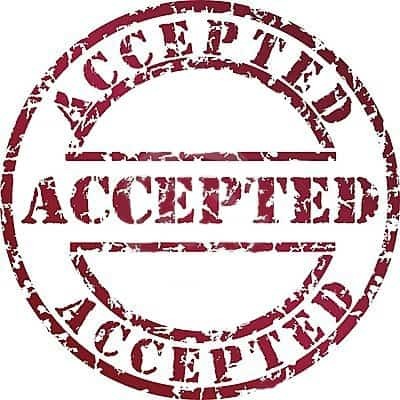 Most colleges have admitted students days that you will be invited to. Go. Stay in the dorms overnight. Sit in on a class (or two). Eat in the cafeteria! Meet with professors, administrators, coaches – whoever can help you get all the information that you need to make your decision. Some schools have Facebook pages for their admitted students. Join them! (Some only have Facebook pages for enrolling students – don’t join those unless you are really enrolling.) Connect with other students considering these schools to learn more about the community that you may join. Talk, talk, talk to as many people as you can about your choices. Talk not only to people at the schools you visit, but also to high school teachers, guidance counselors, friends and family, local alums and your interviewers. You will learn something from every person you speak to. You will learn things you like, and things you don’t – everything is valuable. Take notes. Then, stop talking. Be alone with what you’ve learned. Do your best to picture yourself at each school. What will you (not your mom/dad/friends/grandma etc…) be doing day in and day out for the next four years, both inside and outside the classroom? Which school will help you be (or find) your authentic self? Remember, although others can give you advice, no one else can answer the question “where should I go?” for you – only you can. Decide for real. Embrace your new school. Tell your friends, family and all those who helped you along the way. Join the enrolling students Facebook page. Buy the sweatshirt. Dream and plan! Don’t look back. Don’t second-guess your decision. Recognize that you have made the best decision that you can with the information that you have here and now, and then move forward.